The UC-5 module is an ultra-compact high power green laser device for use by OEM’s and systems integrators to add long range non-lethal deterrence to their equipment. The small size and fiber coupled transmitter allow easy integration with existing systems. 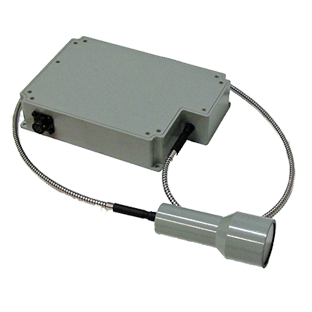 The modules are designed for use in harsh environments. An optional integrated rangefinder is available to prevent operation on targets within the NOHD.